NAC Promotions in association with Tribute Acts Management presents "Magic Queen"
The most energy and dynamic Queen Tribute Act in the UK and the one and only performing all the songs in the original key!! 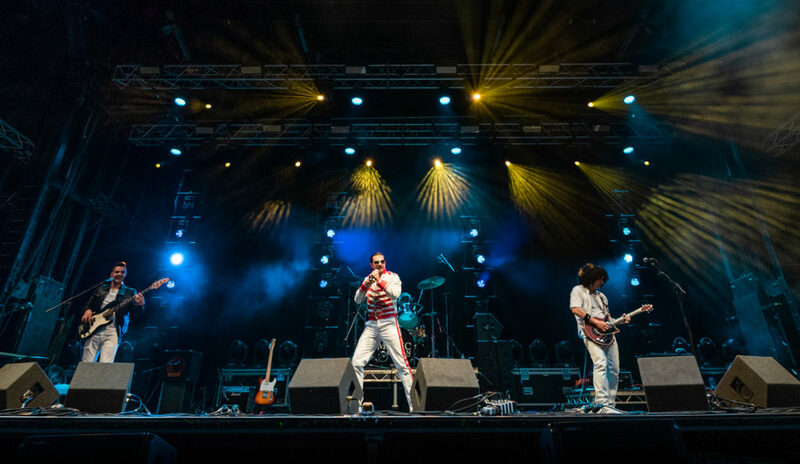 Magic Queen re-enacts the glorious days of legendary rock band Queen, including the craziness of the 70’s and the magic of the 80’s, proving themselves to be one the most dynamic and exciting Queen Tribute Band currently touring and concentrating in sounding like the original artists, delivering a 200% of entertainment in every single show, interacting with the audience to make them live a magical experience. Magic Queen succeeds in blending the vocal layering and studio precision, one of the trademarks of Queen, with the energy of a live stage production. Elaborate performances, effects and costumes aptly frame the seasoned musicians who step into these very large shoes to effectively render an authentic “Queen experience”. Magic Queen set includes, but is not limited to, all the piano driven hit singles like: Killer Queen; Somebody To Love; Don’t Stop Me Now; You’re My Best Friend; We Are The Champions and the amazing award winning Bohemian Rhapsody. These hits are balanced with the guitar-led anthems like: Tie Your Mother Down; Hammer To Fall; One Vision; I Want It All; We Will Rock You. Magic Queen’s ability to recreate Queen live performances is something truly special.